Plan your trip around relaxing in a treetop cabana, taking a bike tour on the coast inspired by romantic movies, or staying overnight at a vineyard. One of the essential aspects to planning a romantic experience is choosing a fitting backdrop. In North Carolina, our towering mountains, pristine beaches and bustling skylines offer a wide range of places to visit. Plan your trip around unique experiences such as relaxing in a treetop cabana, taking a bike tour on the coast inspired by romantic movies, or staying overnight at a vineyard. 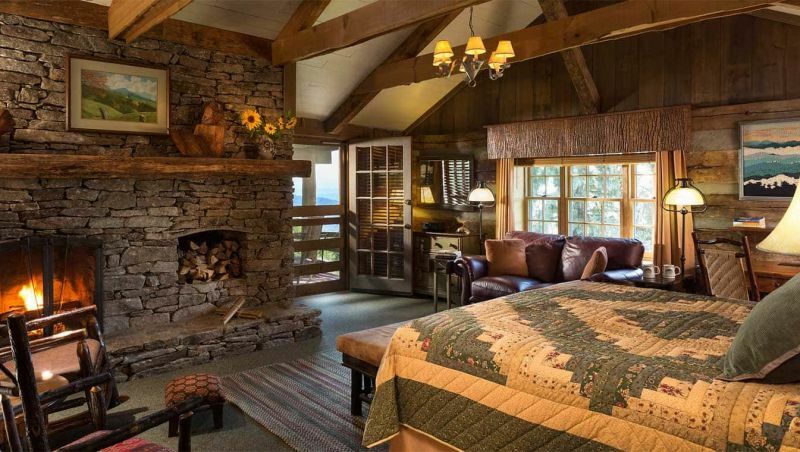 With this luxurious second-floor room at The Swag, guests enjoy a private steam shower, sauna, fireplace and – the kicker – a private copper soaking tub on the balcony overlooking the Great Smoky Mountains. The resort also provides many ways to up your experience, such as an art tour for two, a souvenir stone vase with fresh flowers, or a packed gourmet picnic. A daily social hour on the front porch with hors d’oeuvres, breakfast buffets and farm-to-table dinners will round out your spectacular stay. Escape from it all as you lounge in a two-person soaking tub at Lakeview at Fontana, surrounded by views of the Great Smoky Mountains and Fontana Lake. The 90-minute session includes Dead Sea salt, candles and plush robes, but you can take the experience to the next level with the rose petals and champagne upgrade called appropriately “Cloud 9.” The inn also offers massages, a spa and yoga, so a stay here would certainly complete the heavenly experience. What do you get when you pair wine, a treehouse, a horse farm, live music and a charming pond? Romance, of course. 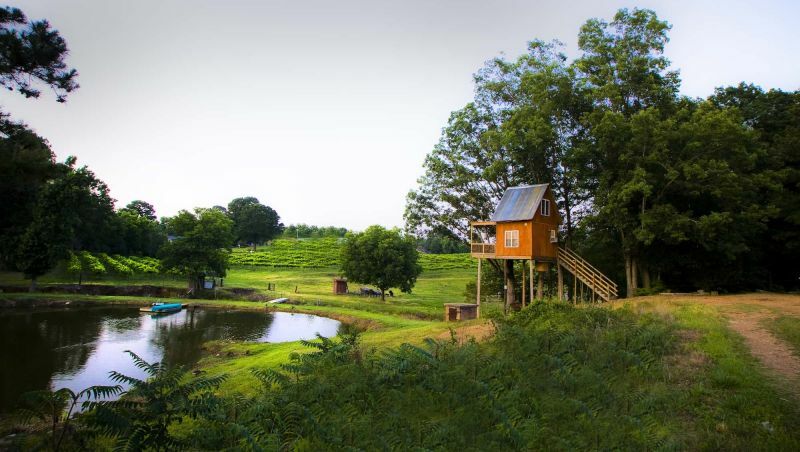 The family-owned Treehouse Vineyards has three tree houses, all available for overnight rentals and one, the Date Nite, available for hourly rentals for wine sipping privacy, too. Live music also plays most Friday and Saturday nights as part of the Live at the Vines concert series, with other events sprinkled throughout the year. Is there any meal more romantic than dining al fresco? 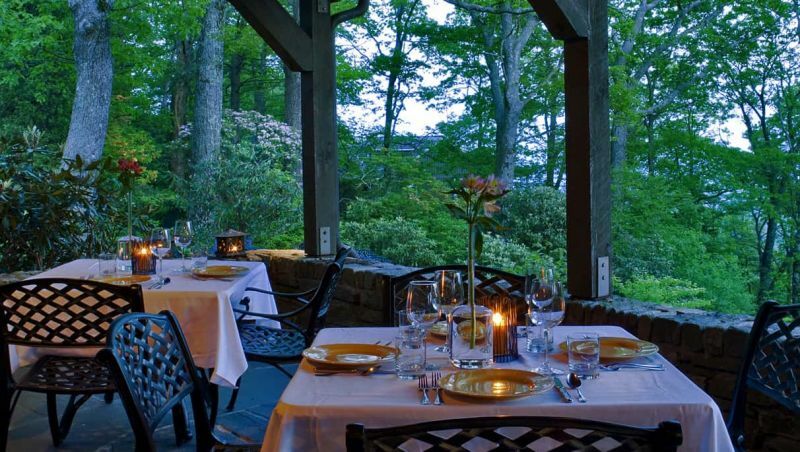 Well, at The Restaurant at Gideon Ridge Inn, if you add in long range views of the Blue Ridge Mountains, a new seasonal menu every day and a commitment to small batch producers, the answer is a resounding no. Start with options like escargot or beef tartare followed by a fresh salad and North Carolina duck, pork loin or wahoo, and finish with the dessert of the day for the perfect four-course experience. 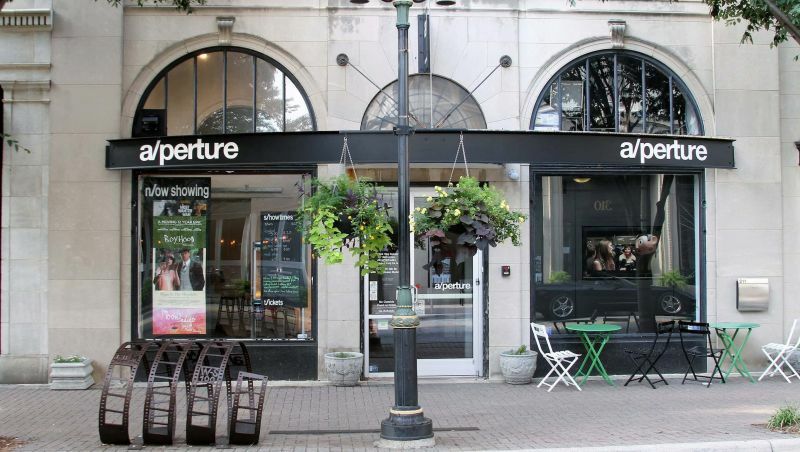 This cool, independent, nonprofit and much-loved art house theater hosts more than 4,000 screenings and events per year, plus while serving beer and wine. Check out the theater’s calendar to see what movies pique your (love) interest. Pair this night out with a candle, fire or torch lit dinner at Tavern in Old Salem, Jeffrey Adams on Fourth or Willow’s Bistro, respectively, and you’ve just planned an amazing date night. 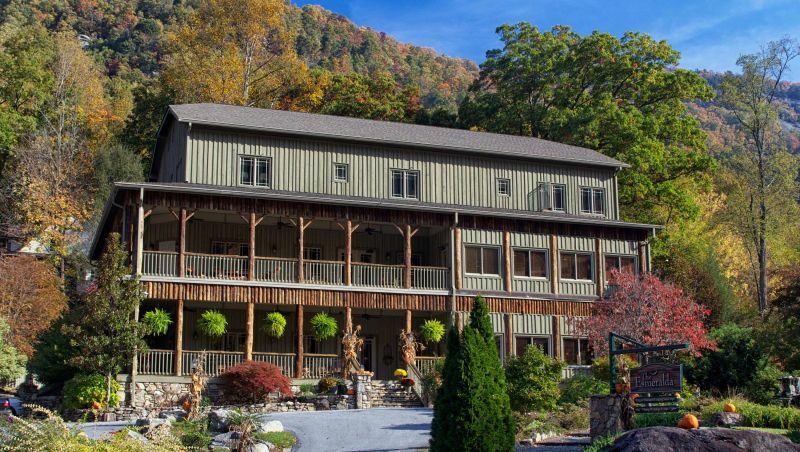 For a romantic stay in this scenic mountain town – an easy task considering Dirty Dancing was filmed here – the Mountain View rooms at The Esmeralda Inn provide a front row seat to the beauty of Chimney Rock, Rocky Broad River and Hickory Nut Gorge. Each room includes a stunning outdoor stone Jacuzzi, also with these great views. Bonus points if you plan your trip for August when the annual Dirty Dancing Festival takes place. Think back on those carefree days of your youth riding your bike. Now, recapture that feeling with Hungry Town Tours in this coastal town during the Early Morning Risers Tour, a peaceful morning peppered with pink skies, tree-lined streets and historic architecture. For an extra dose of romance, select the A Ride to Remember Tour, inspired by bestselling romance author Nicholas Sparks’ books and movies, many of which are set in North Carolina. Fun fact: Beaufort has ranked among the top of lists for coolest, most beautiful, most charming and most romantic towns in America by the likes of Expedia, Budget Travel and Travel + Leisure. Get out on the water and take in the views with a 2 1/2-hour private tour, guided by marine biologist Capt. Ron White, that gets you up close and personal with dolphins. The tour, which covers 10-15 miles of water and typically runs April through August, also comes with complimentary beverages.